Our vintage tiles make themselves beautiful as coasters, wall decorations and, of course, as a gift. This very special motif tile made of travertine has the format 10 x 10 cm. 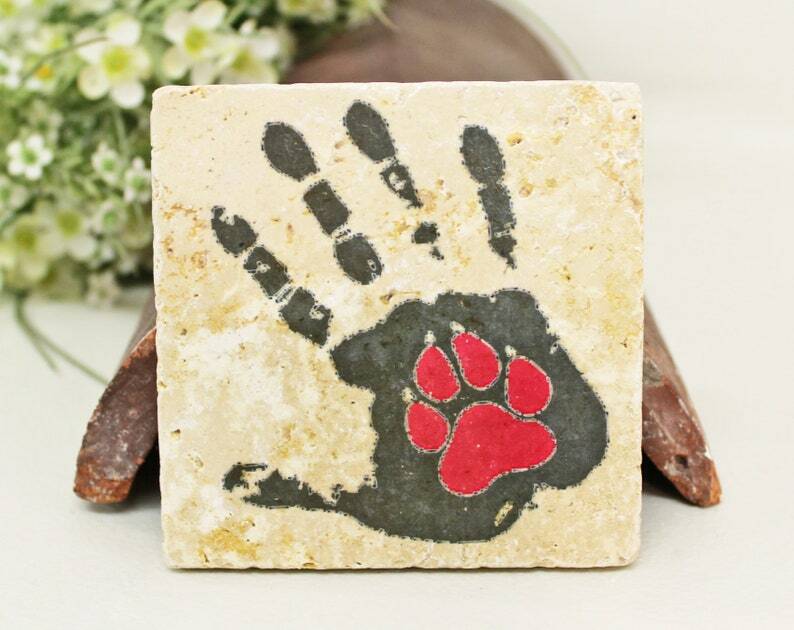 Design: "Paw on hand ♥." The photos serve as patterns, small differences are possible. The tile can be attached to the wall quickly and easily with tile or assembly glue. If you have any questions, please send us a message via the contact form or an email to: info [! at] toultime.de.